"A state-of-the-art source of information for researchers and educators....highly recommended. The handbook includes a concise account of the latest developments in the field. It begins with an introductory chapter followed by several sections representing the history of medicinal plants in different cultures, the technologies in medicinal plant research, and the latest developments in medicinal applications. In a final chapter, it discusses the hopes, dangers, and challenges involved in carrying out research in this multidisciplinary area." 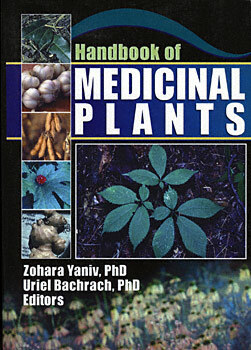 "Provides new, important, and valuable information to all those interested in herbal medicine. Clinicians can find modern approaches for treating patients. Readers interested in the traditions prevailing in different parts of the world and the current use of plants can enrich their knowledge. The book covers the use of herbal medicines throughout history in China, Australia, the Americas, the Middle East, and the Mediterranean. It also addresses the latest technologies in production and breeding, crop improvement, farming, etc., with special focuses on groundbreaking advances in the medical application of therapeutic herbs." "Comprehensive....Addresses many diverse topics related to various aspects of the traditional and modern uses of medicinal plants in an unprecidented manner, furnishing the reader with valid knowledge through a treasury of scientific information under one cover. Each chapter is full of recent reviews, new information, and novel ideas."